Dr. Ravi Ravichandran is Director of Strategic Development, BAE Systems Technology Solutions - Fusion, Battle Management, and Computing in Burlington MA. He leads programs and strategic initiatives focused on BAE Systems' sector, cross-sector, and external industrial partner technology innovation, development, and transition. He has won many multi-million dollar S&T programs that have been demonstrated in many venues including a Navy aircraft carrier, Air Force experimental aircraft, Army helicopter and have also transitioned to operational systems. His work has been published in books and academic journals and he is also an invited speaker at DoD symposiums and conferences. He has received many awards from BAE Systems including Technology Solutions Entrepreneur of the Year and Technology Solutions Best Technical Paper of the Year. He also serves on the Board of Trustees at Boston Trinity Academy. 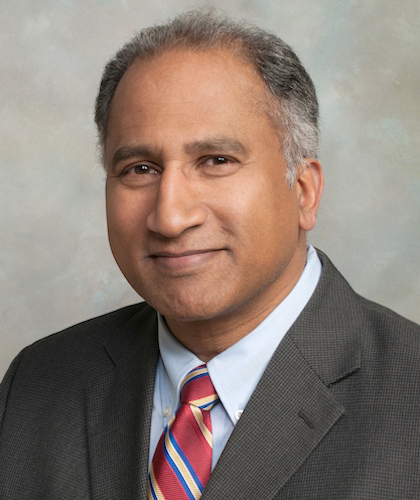 Dr. Ravichandran earned his Masters and Doctoral degrees in Electrical Engineering from Rensselaer Polytechnic Institute.